Follow this step-by-step guide on how to connect to the ultra secure vpn service of FrootVPN. Setup OpenVPN on your iPhone or iPad device and start protecting your online privacy. 1 : Install first the OpenVPN app. 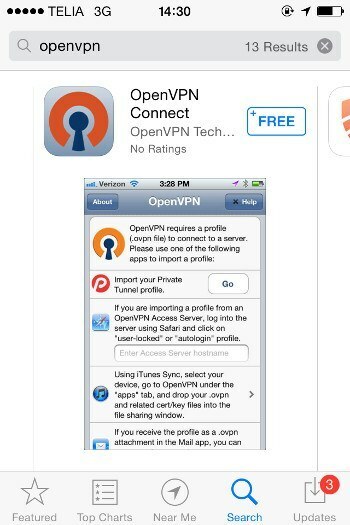 To be able to use OpenVPN on your iOS device, you will need to install first the OpenVPN app. You can get them from the app store. You will need to transfer the OpenVPN config into your iPhone. 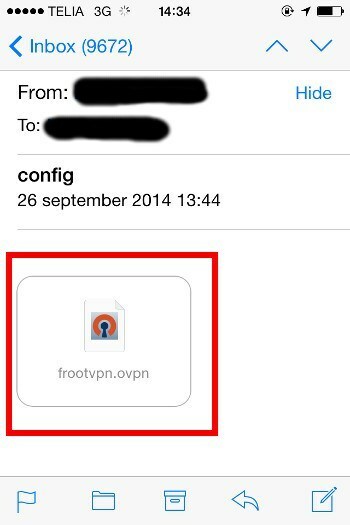 You can download the OpenVPN config from here - https://www.frootvpn.com/files/se.openvpn.frootvpn.ovpn. 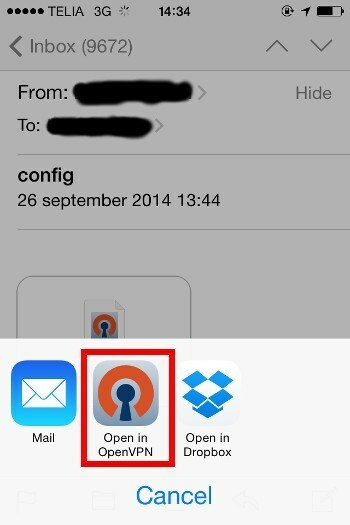 The easiest way to transfer it is to email it to yourself and open it with the mail app. 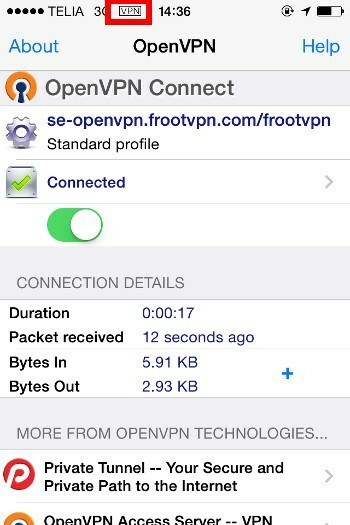 Open the openvpn config from your phone and choose to open it with the OpenVPN app. 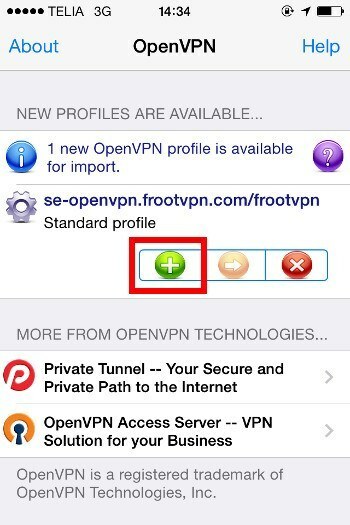 Once opened, click on the <80><98>+<80><99> under the se-openvpn.frootvpn.com/frootvpn to setup your profile. Sign in your username and password and slide the Connect button. 6 : Now you<80><99>re connected. If the screen looks like this, you have successfully connected to the vpn server. Notice that there should be a VPN icon indicated on the upper left corner of the device.